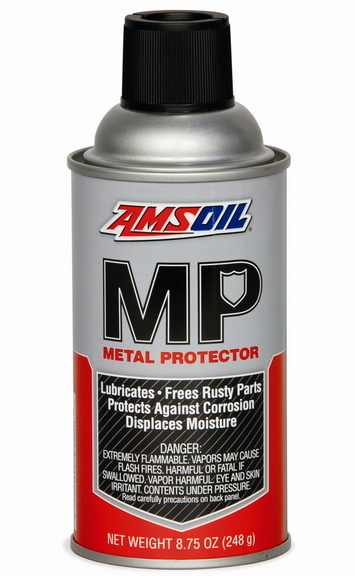 MP Metal Protector High-Performance Spray-On Metal Surface Protectant Displaces water and protects metal surfaces from rust and corrosion. Provides a light film that prevents metal-to-metal contact. Excellent for use on guns, hinges, squeaky mechanical objects, electrical systems and more. Penetrates existing rust buildup. Also dries wet electrical systems.